Alburquerque, NM: Univ of New Mexico Press, 1987. BRAND NEW COPY. Softcover/Fine. Documentation of excavation of Aztec Ruins in the San Juan Basin of northwestern New Mexico, undertaken from 1916 through 1921. 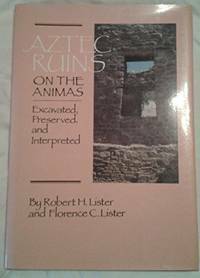 120 pgs, augmented w/photos & diagrams, in 5 chapters: 1, The Ruins Discovered; 2, The Ruins Uncovered; 3, The Pueblos as Part of the Chaco Phenomenon; 4, The Pueblos as Home to Mesa Indians; and 5, The Ruins Preserved.. First Edition, 2nd Printing. Soft Cover. NEW/None as Issued. Washington, D.C.: Nat'l Park Service, 1961. BRAND NEW Copy, vintage printing of 1961. Historical guide to The Richmond National Battlefield Park, VA, which commemorates 13 American Civil War sites around Richmond, and covers some 3000 acres. 46 pgs augmented w/archival illustrations & maps, in 2 parts:. I, The Peninsula Campaign, Summer 1862; and II, The Final Struggle for Richmond, 1864 - 65. After Virginia seceded from the United States of America, Richmond served as the capital of the Confederate States for most of the war, and witnessed much combat over four years. . First Edition, First Thus. Soft Cover/Stapled. NEW/None as Issued. Vintage. Kingdom of Saudi Arabia: Ministery of Education/Dept of Antiquities & Museums, 1975. Text/BRAND NEW & Bright. Dark gray linen boards/Fine. DJ/Poor; intact w/tattered edges & surface wear. "Compliiments Card from Saudi Arabia's Dept of Antiquities & Museums" stapled first page. Gift inscription to pre-title page. Maps to endpapers. Record and photographic essay of a 1975 tour of rich archaelogical sites in Saudi Arabia. The Kingdom occupies the major part of the Arabian Peninsula where human presence dates back to some 125,000 years past. 176 pgs, richly photographed by Roger Wood, in 6 chapters: I, The Southwestern Region: Asir & Nejran; II, The Western Region: The Hejaz; III, The Northwestern Region: Ancient Midian & Dedan; IV, The Northern Region: Hail & Wadi as-Sirhan; V, The Eastern Region: Hasa & Qatif Oases; and VI, The Central Region: Nejd & Qasim. Fine copy w/tired dustjacket.. First Edition, English Edition. Hard Cover. Very Good/Poor. Illus. by Roger Wood (Photographer). First English Edition. London, UK: Elek Books, 1962. Text/BRAND NEW. Dark blue linen boards w/gilt spine lettering/Fine. DJ/VG w/light edge wear; under mylar. First published 1959 in France under the title: Les Ceramiques Precolombiennes; this is the First UK Edition. Illustrated with 32 Plates and line drawings. Text in 3 parts. Part I, General & Technical: Chapt 1, Definition of the Term "Pre-Columbian"; 2, Technology; 3, Typology. Part II, History of Ceramics in the Various Civilizations: Chapt 1, Meso-American Zone (Mexico & Guatemala); 2, Central America; 3, Andean Zone; 4, Caribbean Zone; 5, The Amazon; 6, The United States. Part III, Collections & Collectors: Chapt 1, Forgeries & Principal Workshops; 2, The Market & Price Fluctuations; and, 3, Principal Collections of the World.. First U.K. Edition, First Thus. Hard Cover. New/Near Fine. New York, NY: John Day, 1961. Text/BRAND NEW. Taupe linen boards/Fine. DJ/NF w/light edge & surface wear. PO name to front cover verso & numerals to fEP. 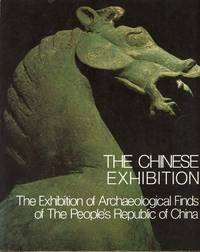 Survey of worldwide (including Jordan, Israel, Turkey, Syria, Persia, Iraq, Pakistand and Afghanistan) excavations from 1945 through 1959, with the principle discoveries examined in detail. Supported by photo illustrations. Author Edward Bacon (1906-1981) was the archaeological editor of the Illustrated London News.. First Edition, First Thus. Hard Cover. Near Fine/Near Fine. Norman, OK: Univ of Oklahoma, 1947. Text/BRAND NEW & Bright w/trace discoloration to edges. Illustrated, gilt embossed green linen boards/NF. DJ/NF; price-clipped w/light edge wear; under mylar. Dyed upper text edge. Fold-out map (also, New). Book shop sticker to front cover verso. Biography of American explorer, writer, and diplomat John Lloyd Stephens (1805 - 1852), a pivotal figure in the rediscovery of Maya civilization throughout Middle America and in the planning of the Panama railroad. 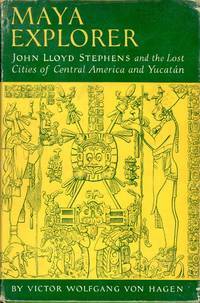 The volume centers on Stephens' two lengthy trips into Central America and the Yucatan; superbs illustrations by English artist Frederick Catherwood who travelled with Stephens remain the foundation on which Maya archaeology continues to rest.. First Edition, 3rd Printing of 1954. Hard Cover. NEAR FINE/Near Fine. Illus. by Frederick Catherwood (Illustrator). London, UK: Ward Lock, Ltd, 1970. Text/BRAND NEW & Bright. Orange-red linen boards/Fine w/trace edge rubs. DJ/Fine. Book shop stamp & sticker shadow to fEP. Vol. 12 of This Beautiful World Series. History, and photographic essay, of the Acropolis --- the ancient citadel at Athens, containing the Parthenon, Erechtheum, and other notable buildings, mostly dated from the 5th century B.C. Planned and begun under Pericles (c. 495 - 429 BC) who masterminded the Peloponnesian War and promoted the golden age of Athens in which giants such as Aeschylus, Socrates and Phidias flourished. This extraordinary historic site drew on the artistry of outstanding architects Callicrates, Mnesikles, and Iktinos, sculptor Phidias (creator of the statue of Zeus at Olympia, one of The Seven Wonders of the Ancient World), numerous artisans, metal workers, craftspeople, painters, woodcarvers, and thousands of labourers. 134 pgs w/maps, diagrams and photos. The 84 color plates are preceded by a fold-out (also NEW) panoramic view of the Acropolis dating 1970. . First Edition, First Thus. Hard Cover. NEAR FINE/Fine. Illus. by Bin Takahashi (Photographer). U.S.A.: Rio Nuevo Publishers, 1999. Text/Highlighting to pg 8, else As New. Softcover/NF w/trace wear to lower front corner tip. PO name to first title page. Monograph. Reference/resource. Anthropology, art history and spirituality. 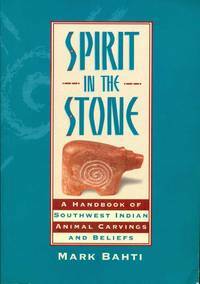 Guide to motifs and symbolism, including choice of materials, behind fetishes, charms and amulets fashioned by Southwestern Inidans --- Zuni, Pueblo, Hopi, Navajo, and Apache. 154 pgs. Text, with color photos, in 4 parts:I, The Role of the Fetish; II, The Animals; III, Other Figures & Objects; and IV, Materials, followed by Appendix.. First Edition, First Thus. Paperback. Very Good/None as Issued. By Fine, John V. A.
Cambridge, MA: Belknap Press/Harvard Univ, 1983. Text/BRAND NEW & Bright. Orange-red linen boards/Fine. DJ/Good; sound & intact w/nips, chips to edges and surface rubs w/faint creasings. History of Greece from prehistoric times to the rise of Alexander by historian John V.A. Fine (1939 -). 720 pgs. Map precedes 13 chapters: 1, The Early Aegean World; 2, The Dark Age; 3, The Age of Transition; 4, Colonization; 5, Social, Economic & Political Developmentss; 6, Early Sparta; 7, Early Athens; 8, The Greeks & the Persians; 9, Delian League & Athenian Empire; 10, The Development of Athenian Democracy; 11, The Peloponnesian War; 12, The Fourth Century; and 13, Macedonia & Greece.. First Edition, First Printing. Hard Cover. NEAR FINE/Good. First Edition, First Printing. Austin, TX: Univ of Texas Press, 1982. Text/BRAND NEW & Bright. Steel-gray linen boards/NF w/trace edge & surface rubs. DJ/VG w/nips, chips & losses (primarily to spine edges)to edges, faint creasing & rubs to surface, and fading to spine. PO name to fEP. Aboriginal art prior to Western cultural influences. Text, illustrated with line drawings, diagrams and b/w photos, in 11 chapters: 1, The Genetic Theory of Culture; 2, The First Wave; 3, Face & Body Painting; 4, The Second Wave; 5, Bark Paper & Wooden Masks; 6, The Third Wave; 7, The S-Design; 8, The Cosmos; 9, Tattoo; 10, The Bark Paper Book; and 11, Conclusions. Strong copy in lesser dustjacket.. First Edition, First Thus. Hard Cover. NEAR FINE/Very Good. Stated First Edition. New York, NY: Metropolitan Museum of Art, 1976. Text/BRAND NEW & Bright. Illustrated spiral bound soft cover/NF w/light wear to corner tips. 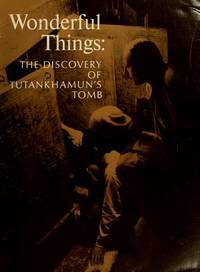 Museum catalogue for the 1976 - 1979 exhibition Treasures of Tutankhamun. Pictorial account of the 1922 discovery of Tutankhamun's tomb; photos from some 1400 glass negatives made over 6 years by archaelogist-photographer Harry Burton (1879 - 1940) archived at The Metropolitan Museum of Art. 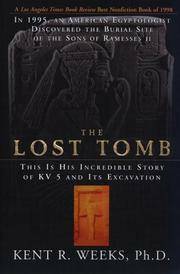 Text is an abridgement/adaptation from The Tomb of Tut Ankh Amen (Howard Carter & A.C. Mace, 1923 - 1933).. First Edition, 3rd Printing. Soft Cover/Spiral. NEAR FINE/None as Issued. Illus. by Harry Burton (Archaeologist-Photographer). Athens, Greece: C. Cacoulides Text/Bright, clean As New. Off-white linen boards/NF w/trace wrinkling to lower front. DJ/NF w/light edge wear. 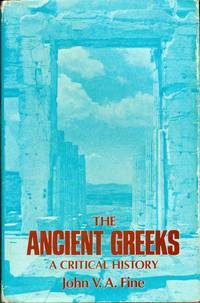 No publication date --- c. 1950s vintage tour guide to the Acropolis, ancient citadel of Athens, dating from the 5th century B.C. Map precedes text. Text in 48 pgs w/55 entries keyed to afore mentioned map, and followed by un-numbered pages of b/w photos, also keyed to entries.. Hard Cover. NEAR FINE/Near Fine. Illus. by Dimitrios Harissiadis (Photographer). London, UK: Routledge & Kegan Paul Books, 1986. BRAND NEW COPY w/trace discoloration (acidic paper reaction) to upper text block. Socio-political history of England. Volume 2 of a 5-volume series examing the world of the British Isles. 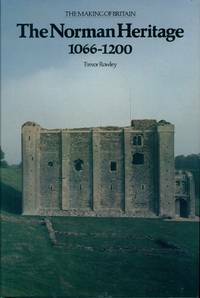 248 pgs, illustrated w/60 plates, text in 8 chapters: 1, The High Middle Ages; 2, Kings, Castles & Houses of the Great; 3, Villages in the Late Middle Ages; 4, Medieval Agriculture; 5, Woodland, Forests & Parks; 6, Industry, Trade & Communications; 7, Medival Towns; and 8, The Church in the Later Middle Ages. . First Edition, First Thus. Hard Cover. NEW/New. London, UK: Routledge & Kegan Paul, 1979. BRAND NEW COPY. Early history of Britain. Volume 2 in a series of 5. 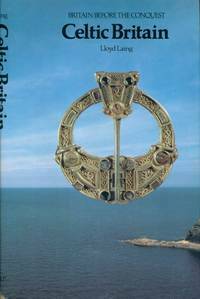 Studies of the Celts and Celtic culture from first arrival in 7th century BC to the development of the medieval kingdoms in Scotland and Wales. Illustrated with some 109 plates. 190 pgs in 5 chapters: 1, Introduction - The Celts in Europe; 2, Iron Age Britain; 3, The Roman Interlude; 4, The Dark Ages; and 5, Epilogue - Celtic Twilight.. First Edition, First Thus. Hard Cover. NEW/New. London, UK: Routledge & Kegan Paul Books, 1983. BRAND NEW COPY. Socio-political history of England. 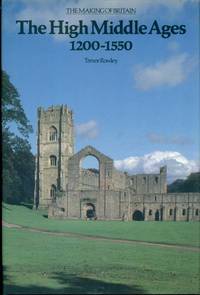 Volume 1 of a 5-volume series examing the world of Medieval British Isles following the Norman Conquest. Commencing with the Battle of Hadstings (1066), illustrated w/56 plates, text in 9 chapters: 1, The Coming of the Normans; 2, The Norman Dynasty in England; 3, Castles of the Conquest; 4, The English Landscape at the Time of the Conquest; 5, The Towns of the Conquest; 6, The Impact of the Conquest on the Church; 7, Forest, Park & Woodland; 8, The Norman Impact on Wales & the Welsh Borderlands; and 9, The Norman Heritage, followed by 3 appendices.. First Edition, First Thus. Hard Cover. NEW/New.